Awh you’ve gotta feel for the slew of beautiful, rich and talented celebs that are using Tinder and getting absolutely no matches. All of the sad faces for them :(:(:(. According to Techcrunch, celebs like Ashton Kutcher (isn’t he taken? ), Lindsay Lohan and Josh Groban are all using the hook-up app but regular people don’t believe they’re really their awesome celeb selves. Tinder’s answer? Verified accounts. 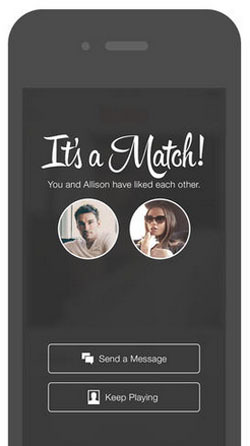 Just like the little verified blue ticks on Twitter, Tinder plans on introducing a way to prove celebs are who they say they are. We imagine that’ll lead to a lot of average Joes and Janes hooking up with celebrities via the app instead of some slimy nightclub. WOOP for fame hungry horny people across the globe!